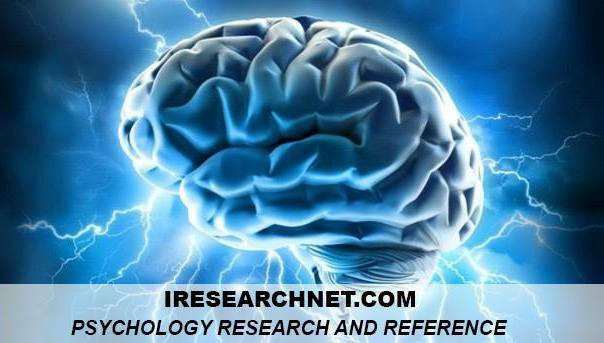 Family psychology is a specialty within contemporary psychology. It has basic and applied aspects, covers treatment and prevention interventions, and is taught in graduate training programs, generally within clinical/ child or counseling psychology. Although it has less of a formal and lengthy history than more well known and established specialties like clinical, counseling, or school psychology, it stands among the new specialties such as health and forensic psychology. Its name may indicate otherwise, but the specialty of family psychology covers a broad territory (L’Abate, 1985). Advances covering family and marital issues and processes research and interventions, as well as the core theoretical ideas of family psychology (contextualism and systems perspective) appear under the headings of many psychology content areas, including developmental, social, research design and methodology, environmental and community, gender, industrial/organizational, health, forensic, and, of course clinical, counseling, and school psychology (Crosbie-Burnett & Lewis, 1993: Liddle, 1987a). Definitions of the specialty emphasized several themes: the systems perspective and the contextual tradition of family therapy (representing the clinical wing of family psychology): the theoretical perspectives of contextualism; reciprocal causality and influence: and an ongoing attempt to define the processes or mechanisms that mediate the relationship between different systems and levels of functioning (Kaslow, 1995; Liddle, 1987b). Family psychology embraced the newly forming tradition of conceptual complexity, which were taking place in many sectors of psychology and related sciences (Bell, 1968; Haynes, 1992; Kazdin & Kagan, 1994). One of the most important ways in which family psychology exemplified and, in its own way, developed along these complex lines, concerned the way it went beyond the literal meaning of the very term family psychology. Family psychology, like family therapy, invokes images of a particular conceptual or intervention unit-the family. Family psychology, embracing systems philosophy and contextualism at its core, surely includes family and marital processes in its theoretical, research, and clinical purviews, but it has moved beyond family as well (L’Abate, 1992; Parke, 1998). The emphasis is more on the notion of behavioral transactions that occur not only in the family, but between the family and other developmentally influential social systems (Bronfenbrenner, 1979). This broadened emphasis, in accord with Kazdin’s (1997) recommendations for new kinds of conceptualization and intervention, has been the hallmark of contemporary family psychology interventions (Liddle, 1995: Markman, 1992: Tolan, Guerra, & Kendall, 1995). 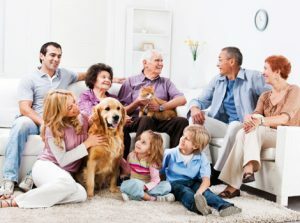 Peer group and other institutions of influence beyond the family are included in family psychology’s conceptual framework, and today’s interventions that could be said to reside in the family psychology tradition include assessment and intervention attention to multiple systems and levels of social influence, including peer, school, and community/neighborhood influences (Alexander, Holtzworth, Munroe, & Jameson, 1994; Henggeler et al., 1997; Liddle, 1998; Szapocznik & Coatsworth, in press). Although the family, marriage, and systems theory and contextualism-theoretical notions that are core to family psychology-have been of interest to psychologists for some time, it was with the founding of the Division of Family Psychology in 1985 and 2 years later, its journal, the Journal of Family Psychology (IFP), that the family psychology specialty achieved a well-defined and differentiated identity within mainstream psychology. The division became a home for interests relevant to psychologists who wished to practice from a family therapy or systems perspective, for those who trained students in family systems ideas, research, and interventions, and for those concerned with carrying the standard of family and couple-related policy issues within the American Psychological Association (APA) as well as on the federal policy scene. The founding of JFP (first a divisional journal and now an APA journal) is an endorsement of the specialty’s centrality in contemporary psychology, and can be considered another major event for the specialty. JFP became a context through which family psychology, as an identifiable and differentiated specialty within psychology, could define itself (Levant, 1992). The range of articles published in JFP has been broad, and has included basic normative and dysfunctional marital and family process research, research on diverse family structures and forms, research that informs social and public policy pertaining to families, and treatment outcome and process studies. Several other important developments have occurred in the dozen or so years since the founding of the Division of Family Psychology and the specialty’s journal. Ideas about training and supervision that are syntonic with systemic principles have been articulated (Ganahl, Ferguson, & L’Abate, 1985; Green, 1998; Liddle, Becker, & Diamond, 1997). Complex, clearly specified doctoral level training models and programs have been advanced as well (Berger, 1988; Green. 1998). Programs such as these await the accreditation of family psychology as a formal specialty in the APA. a process that has begun and seems likely. Family psychology ideas are now developed within conceptual models in and of themselves, but are also part of other evolving models of theory and practice. Many aspects of the family psychology research, theory, and clinical practice agenda of over a decade ago (Liddle, 1987b) have now been reached. Family psychology has proven to be a viable specialty within contemporary psychology. It has been an organizing influence for research on systemic theory and ideals within psychology; it has developed and rigorously tested new, family psychology theory-based (e.g., using developmental research as a guide to practice) preventive and treatment interventions; and it has been an active participant in legislation and health/mental health policy making. The research landscape changed dramatically in family psychology in the 1990s. Many of those changes became apparent at the first national conference on family psychology, sponsored by the APA Science Directorate in 1995 (Liddle, Santisteban, Levant, & Bray, in press). Long-term stable programs of basic and intervention (prevention and treatment) research exist (Szapocznik, Kurtines, Santisteban, & Rio, 1990). A strong interest in family and marital processes in both the applied and basic science areas can be found across federal, state, and foundation funding sources. More funding, from a wide variety of agencies (National Institute of Mental Health, National Institute on Drug Abuse, National Institute on Alcohol Abuse and Alcoholism, Center for Substance Abuse Treatment, Center for Substance Abuse Prevention, Centers for Disease Control, Department of Justice/Office of Juvenile Justice and Delinquency Prevention) specifically encouraging the evaluation of family-related intervention initiatives, is available now than ever before. The National Institute on Drug Abuse, for example, in an era in which the overall number of research centers is being reduced, recently funded a research center in the area of family-based treatments for adolescent substance abuse (Liddle, 1998). Family and couple interventions have been developed and tested with a wide variety of clinical problems and populations (Pinsof & Wynne, 1995). The technology of family psychology intervention science, as a subspecialty, has evolved a great deal as well (Bray, in press: Snyder, Cozzi, & Mangrum, in press). Complex interventions have been manualized and tested using state-of-the-science designs, measures, and statistical analyses. New studies, combining different research traditions (effectiveness, efficacy, and process studies) are being conducted to test a new generation of interventions that are comprehensive in scope, target individual and family processes and family vis-a-vis extrafamilial interactional processes (Schoenwald & Henggeler, in press). In conclusion, advances on many fronts-scientific, clinical, theoretical, and organizational- are evident in family psychology. It continues to be defined as what has been called an emerging and an emerged discipline (Liddle, 1987b). J. E, Holtzworth-Munroe, A., & Jameson. P. B. (1994). The process and outcome of marital and family therapy: Research review and evaluation. In A. E. Bergin & S. I. Garfield (Eds. ), Handbook of psychotherapy and behavior change (4th ed .. pp. 595-630). New York: Wiley. Bell, R. Q. (1968). A reinterpretation of the direction of effects in studies of socialization. Psychological Review, 75 (2), 81-95. Berger, M. (1988). Academic psychology and family therapy training. In H. A. Liddle & D. C. Breunlin (Eds.). Handbook of family therapy training and supervision (pp. 303-315). New York: Guilford Press. J. (in press). Methodological issues and innovations in family psychology intervention research. In H. A. Liddle, D. A. Santisteban, R. Levant. & J. Bray (Eds.). family psychology intervention science. Washington, DC: American Psychological Association. Bronfenbrenner, U. (1979). The ecology of human development: Experiments by nature and design. Cambridge. MA: Harvard University Press. Crosbie-Burnett, M., & Lewis. E. (1993). Theoretical contributions from social and cognitive-behavioral psychology. In P. G. Boss, W. J. Doherty. R . , LaRossa. W. R. Schumm, & S. K. Steinmetz (Eds.). Sourcebook of family theories and methods: A contextual approach (pp. 531- 561). New York: Plenum Press. Ganahl, G., Ferguson, L. R., & L·Abate, L. (1985). Training in family therapy. In L. L’Abate (Ed.). The handbook of family psychology and therapy (pp. 1281-1317). Homewood, IL: Dorsey Press. Green, R. J. (1998). Training programs: Guidelines for multicultural transformation. In M. McGoldrick (Ed.). Revisioning family therapy: Race. culture, and gender in clinical practice (pp. 111-117) . New York: Guilford Press. Haynes, S. (1992). Models of causality in psychopathology: Toward dynamic synthetic and nonlinear models of behavior disorders. Needham Heights. MA: Allyn & Bacon. Henggelerm, S. W., Rowlandm, M. D., Pickrelm, S. G., Miller, S. L., Cunningham, P. B., Santos, A. B., Schoenwald, S. K., Randall, J., & Edwards, J. E. (1997). Investigating family-based alternatives to institution-based mental health services for youth: Lessons learned from the pilot study of a randomized field trial. Journal of Child Clinical Psychology, 26, 226-233. F. W. (I99I). The art and science of family psychology: Retrospective and perspective. American Psychologist, 46, 621-626. Kaslow, F. W. (Ed.). (1995). Voices in family psychology. Thousaud Oaks, CA: Sage. Kazdin, A. E. (1997). A model for developing effective treatments: Progression and interplay of theory, research, and practice. Journal of Clinical Child Psychology, 26, 217-226. Kazdin, A. E., & Kagan, J. (1994). Models of dysfunction in developmental psychopathology. Clinical Psychology: Science and Practice, I, 35-52. L’Abate, L. (1985). The handbook of family psychology and therapy (Vols. 1 & 2). Homewood, IL: Dorsey Press. L’Abate, L. (1992). Family psychology and family therapy: Comparisons and contrasts. American Journal of Family Therapy, 20, 3-12. Levant, R. F. (1992). The evolving field and its issues. Journal of Family Psychology, 6, 5-9. Liddle, H. A. (I987a). Editor’s introduction I. Family psychology: The journal, the field. Journal of Family Psychology, I, 5-22. Liddle, H. A. (I987b). Editor’s introduction II. Family psychology: Tasks of an emerging (and emerged) discipline. Journal of Family Psychology, I, 149-167. Liddle H. A. (1995). Conceptual and clinical dimensions of a multidimensional. multisystems engagement strategy in family-based adolescent treatment. Psychotherapy: Theory, Research and Practice, 32, 39-58. Liddle, H . A. (1998). Multidimensional family therapy treatment manual for the Cannabis Youth Treatment Multisite Collaborative Project. Rockville, MD: Center for Substance Abuse Treatment. Liddle, H. A., Becker, D., & Diamond, G. M. ( 1997). Family therapy supervision. In C. E. Watkins (Ed.) , Handbook of psychotherapy supervision (pp. 400-418). New York: Wiley. Liddle, H. A. , Santisteban, D. A., Levant. R., & Bray, J. (Eds.). (in press). Family psychology intervention science. Washington, DC: American Psychological Association. Markman, H. J. (1992). Marital and family psychology: Burning issues. Journal of Family Psychology, 5, 264- 275. Parke, R. D. (1998). Editorial. Journal of Family Psychology. 12, 3-6. Pinsof, W., & Wynne, L. (1995). The efficacy of marital and family therapy: An empirical overview, conclusions, and recommendations. Journal of Marital and Family Therapy, 21, 585-613. Schoenwald, S., & Henggeler, S. (in press). Services research and family-based treatment. In H. A. Liddle, D. A. Santisteban, R. Levant, & J. Bray (Eds. ), Family psychology intervention science. Washington, DC: American Psychological Association. Snyder, D. Koo Cozzi, J. C., & Mangrum, L. F. (in press). Conceptual issues in assessing couples and families. In H. A. Liddle, D. A. Santisteban, R. Levant, & J. Bray (Eds. ), Family psychology intervention science. Washington, DC: American Psychological Association. Szapocznik, J., & Coatsworth, J. D. (in press). An ecodevelopmental framework for organizing the influences on drug abuse: A developmental model of risk and protection. In M. Glantz & C. R. Hartel (Eds. ), Drug abuse: Origins and interventions. Washington, DC: American Psychological Association. Szapocznik, J., Kurtines W., Santisteban, D. A., & Rio, A. T. (1990). Interplay of advances between theory, research, and application in treatment interventions aimed at behavior problem children and adolescents. Journal of Consulting and Clinical Psychology, 58, 696-703. Tolan, P. H., Guerra, N. G., & Kendall, P. C. (1995). A developmental-ecological perspective on antisocial behavior in children and adolescents: Toward a unified risk and intervention framework. Journal of Consulting and Clinical Psychology, 63, 579-584.